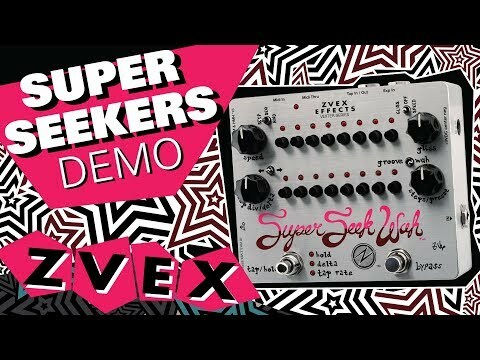 Product Overview The Super Seek Trem is a much expanded 16 step version of our original Seek Trem sequencer pedal. Features include MIDI sync, tap tempo control, tap tempo sync, expression pedal control of speed or glissando, individual step glissando, 8 user programmable memory locations, and delta speed control. More information can be found in the User Manual: Features • Dimensions: 4.73" x 5.94" x 2.25"